Some heroes need helmets to do battle with evil, but Link? He just needs his trusty green hat. We’re not sure if it holds any kind of magical powers or tactical advantages, (Is that where he keeps all that stuff? It is kind of boomerang shaped…) but he does look quite dashing in it. And he never seems to have hat hair! We can’t guarantee this hat won’t give you hat hair though. Maybe that’s its magic power… This Adult Link Hat is comes straight from the Legend of Zelda Nintendo games, so you can be sure to get your princess-saving on in style. 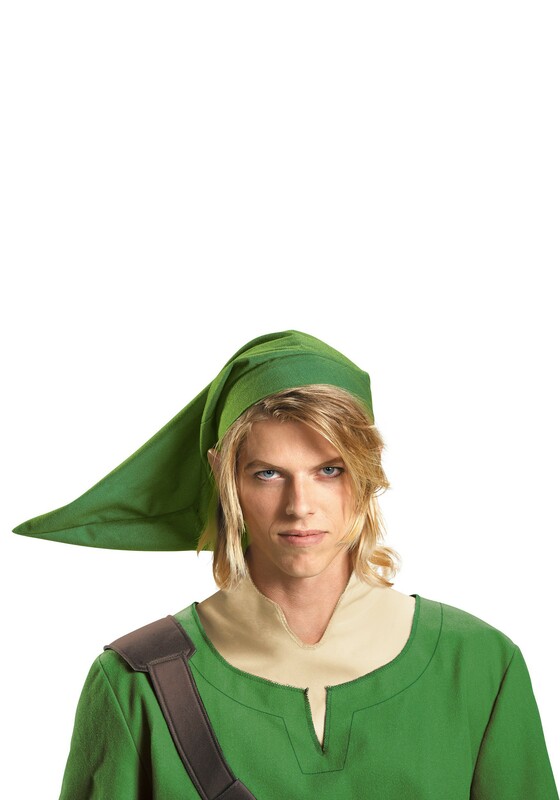 Put it on to whomp imaginary Octoroks and Moblins in the backyard, complete a Link costume, or just when you’re playing Breath of the Wild on the bus. They’re not staring at you because it’s weird! They’re staring at you because they think you’re cool. Promise. Just keep grabbin’ those rupees, buddy.